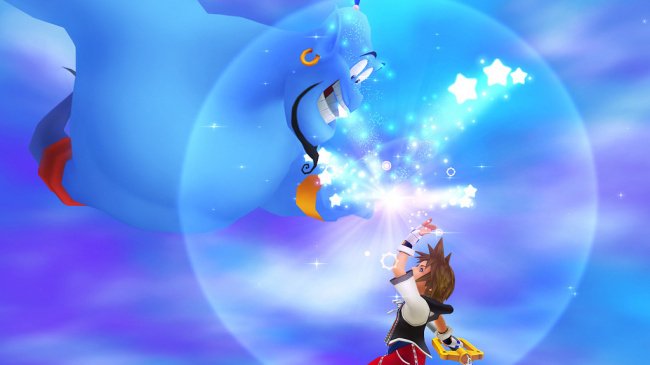 Square-Enix announced today that Kingdom Hearts HD 1.5 ReMIX will be coming to both North America and Europe this Autumn, and they will be exclusive to the PlayStation 3. If you never played the original game then this is the perfect chance as bundled within you will also receive Kingdom Hearts Re: Chain of Memories and both games will have full trophy support. In addition, cutscenes from the DS game, 358/2 Days, are in this package as well. This game was also previously unavailable in Europe. The package also includes Kingdom Hearts Final Mix which was a Japanese exclusive that includes new missions, weapons, abilities and enemies. A new gameplay trailer will be released soon but the new screenshots we do have look very nice indeed. Kingdom Hearts was first released on the PlayStation 2 back in 2002, so updated visuals are bound to please many fans. Whilst a specific release date has not been announced yet I am sure we will hear more about this game very soon.